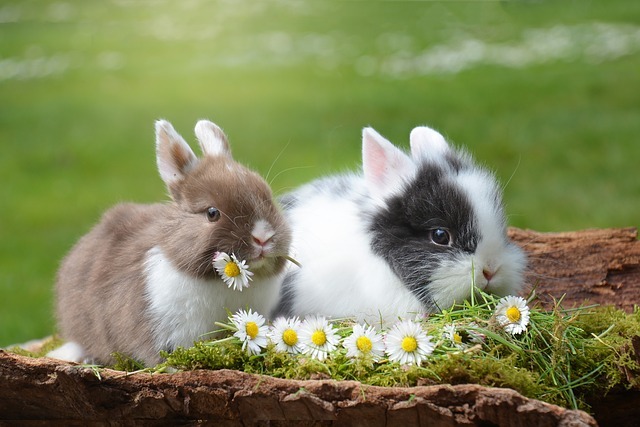 Rabbits are feeble little animals that will always prefer sitting at home playing and hopping around, rather than taking a road trip, but sometimes you really must do that. The problem here lies in the fact that they’re very vulnerable to stress, from noises to lights, traffic and too many people around, making carrying or transporting them from point A to point B a tricky challenge. But if you really must do that, you should learn how to safely carry and transport a rabbit. 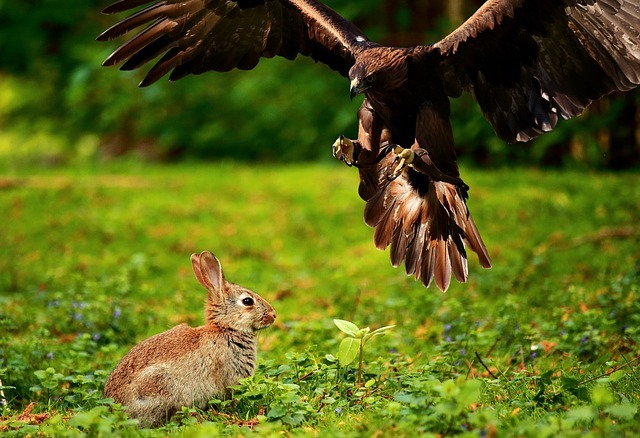 Rabbits were not made to fly or get somewhere by car and their natural way of living and their natural surroundings never included cars, airplanes and the many artificial stressors that we humans have created in this world. Having them as pets is already out of their natural way of living, and carrying or transporting them around makes for a very stressful experience. Sometimes that’s stressful even for us, let alone our cute hopping furry friends. In some cases though, there’s no other option. You need to take them to the vet or even worse, you’re moving to a different country and don’t want to part ways with your bunny. And that’s where knowing how to safely carry and transport a rabbit becomes important. 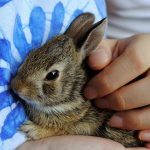 One might think that carrying around a rabbit isn’t a necessary thing to do, but that only until you need to take him to the vet, and that will probably happen at least once a year. 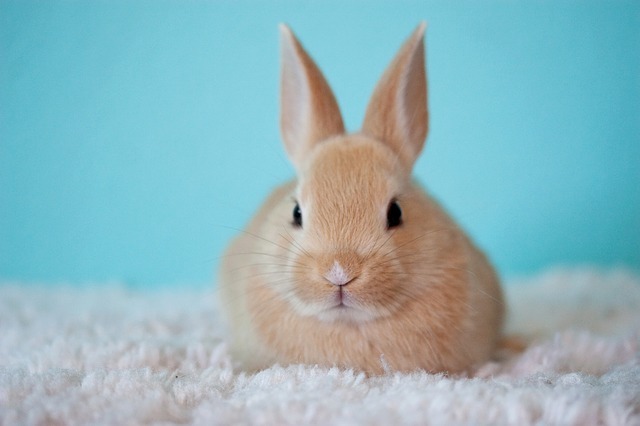 In general, the bone structure of a rabbit is fragile, and that fragility accentuates to pet rabbits whom don’t have the natural living environment and are confined to cages and small spaces, thus giving them little option for exercise and muscle and strength development as opposed to their wild counterparts. One of the worst mistakes when it comes to carrying a rabbit is holding them by the scruff or by the ears. That almost surely ensures damage to and even fracturing of their spine and neck and should be avoided at all costs. 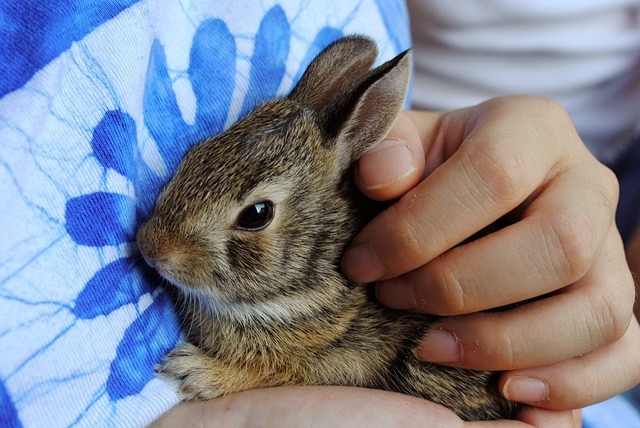 Instead, to safely carry and transport a rabbit, there are several proper methods available, and all of them include firm holding of the bunny to prevent escape and support for the lower spinal region to avoid fractures. 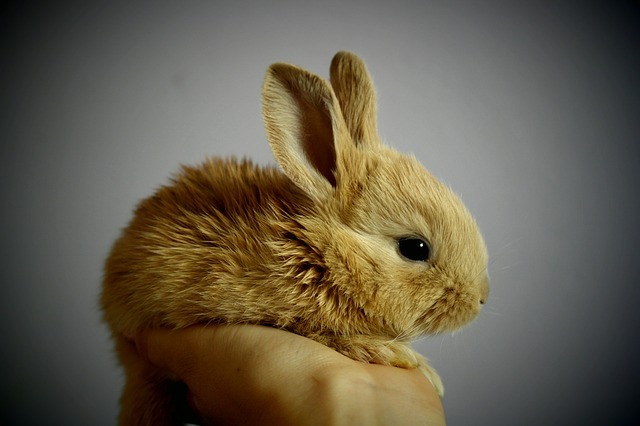 Rabbits can be carried on the arm, with the elbow supporting the back of the rabbit and the hand supporting the front members of the rabbit, thus avoiding the compression of the chest. With the other hand you can grasp the shoulders or the skin of the neck to give a better control and prevent the bunny from escaping and running away. Another method is by hiding their head in the crook of the elbow. 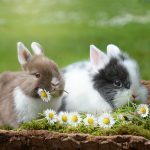 This is suitable for shy or very scared rabbits and offers the advantage of the rabbit not seing the surroundings, thus avoiding scaring or stressing out the bun. The arm and hand both support the lower part of the bunny and carry its weight while bunny’s head is tucked away in the crook of the elbow. The second hand rests on the shoulders to give a better control and prevent any attempt to escape. 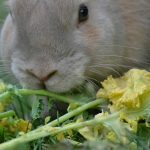 For aggressive or very stressed rabbits, one can use one hand to firmly hold the scruff while – and this is essential for reasons stated above – the other hand supports the lower back and the hips of the bunny. This method should only be used for short distances only and if the other methods aren’t suitable. To safely carry and transport a rabbit for longer distances, a rabbit carrier is a must have. But not any available commercial carrier will do, as there are several important aspects about a carrier that you need to consider before buying one. The most important aspects of a good rabbit carrier are its sturdiness and a solid bottom, without holes or a steel grid to prevend injury during the transport phase. There are all kinds of options available, with cloth or nylon carriers or even cardboard boxes as some of these options. But the trouble is that all these don’t provide safety to you bun, can cause him injury, or even worse, they can escape and cause very dangerous situations. 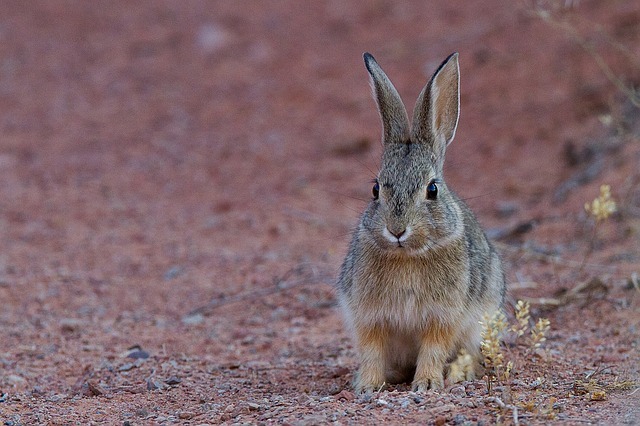 If for example, a distressed rabbit manages to dig a hole through a cardboard box while in the car, he can startle the driver while in traffic and cause an accident. That’s why a rabbit carrier needs to be sturdy and provide a safe environment for both the bun and its owner. The first and most important part of choosing a rabbit carrier, aside from the build quality and price is the size of it. Rabbit carriers come in different sizes, and the one you need depends in general on the size of your rabbit. Or the number. If you have two rabbits for example, a bigger carrier should do. 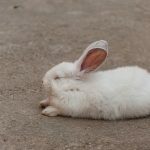 Apart from that, the carrier should provide both comfort and a little bit of space, just enough for your bun to lie down to rest and stretch out. Another important part of the carrier is the access. We recommend those carriers with both a normal door and top opening. The latter is very convenient should you need to provide your bun with water and food during the travel, or pet him when he becomes nervous and at the same time it doesn’t make escaping as easy as on the front door. Secondly, during trips to the vet, bunny might feel overwhelmed and become aggressive when you try to get him out of the cage, so a top opening provides a better access and without the same trouble for the owner or the vet and less risk of biting. There are some other things to consider when buying a rabbit carrier. Ventilation is one of them. A good carrier will always have enough openings on the sides to allow fresh air to flow inside the carrier during transport. At the same time, make sure there are no holes in the floor of the cage, as that may injure your bun. Padding of the carrier should be another thing to consider. Since most of them are made of plastic, that makes the bottom slippery and dangerous, especially during sudden motions of the means of transport. This can be easily solved by covering the bottom with a soft padding. Towels, blankets or something similar will be perfect for that. 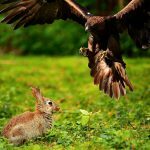 In the next part of this post we’ll talk about how to safely carry and transport a rabbit by car or airplane.